Teaching basic arithmetic to an adult can sometimes be challenging, particularly because the teacher may not know how to apply adult learning techniques to something typically taught to children. There are, however, ways to effectively teach basic addition and subtraction to adults. Using visual aids, especially using multiple copies or instances of the exact same object, can help the person efficiently grasp the concepts of addition and subtraction. These are necessary to comprehend before moving on to more advanced or abstract methods. Use a single die, or one side of a domino, and point out the number of dots. Start with one and continue to six, all using a single die or domino side. Use both dice, or sides of the domino, and point out the number of dots. Start with one dot on each and point out that together they make two dots -- one plus one equals two. Change the sides of the dice, or dominoes, until you reach sums of three through 12. Roll the dice, or choose random dominoes, or have the student do so. This time have them point out the number of dots in each and the sum of the dots on both dice or dominoes. Repeat as many times as necessary until the student grasps the addition concept. 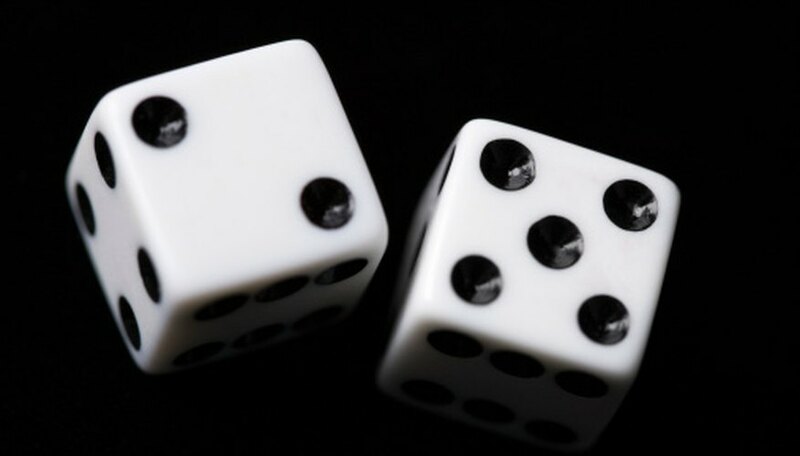 Roll the dice, or choose random dominoes, again, or have the student do so. This time, consider the die or domino with the most dots on it first, then point out the die or domino with the fewer dots. Have the student use their finger to cover the die, or domino, with more dots by the number of dots visible on the die, or domino, with fewer dots. For instance, if one die showed three dots and the other showed one, have the student cover one of the dots on the die showing three dots. This will help them visualize and understand the idea of remaining amounts; in other words what results from subtraction -- three minus one equals two. Repeat this until the student is able to grasp the subtraction concept. Hosam El-Aker's digital media career began in the 1990s, when online journalism was still in its infancy. His range of work includes published pieces in the fields of technology and electronics, website development, sports and world politics. The Washington, D.C. native has worked in Web development for 10 years and earned his Bachelor of Science in journalism from West Virginia University. El-Aker, Hosam. "How to Teach an Adult Basic Addition & Subtraction." Sciencing, https://sciencing.com/how-to-teach-an-adult-basic-addition-subtraction-12750242.html. Accessed 23 April 2019.